Please check out Johnny Acevedo’s youtube channel ‘Amiten TV’ do subscribe, give it some much deserved love and keep it alive! This man have been streaming over 210 Episodes. He brings Amigan’s together on Saturday evenings. He lives on Tenerife with palm trees, warm temperatures all year and got Amiga as a big interest. 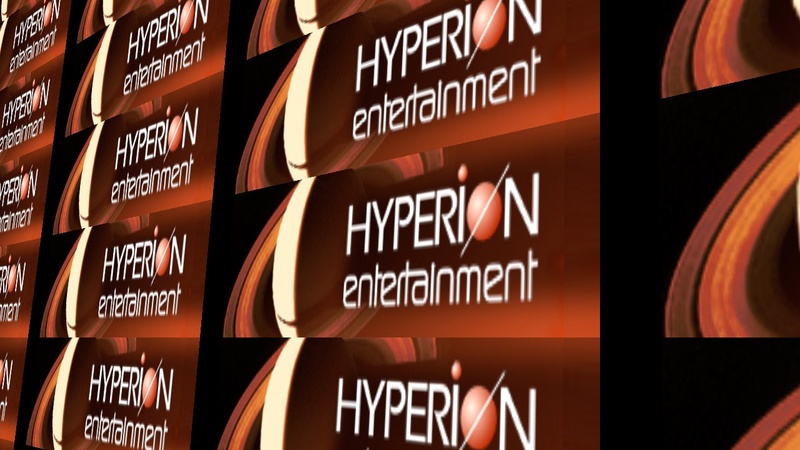 He is Amiten TV and this service needs your help for it to continue. It’s a bilingual Amiga channel in both Spanish and English. Many livestreams and interviews. Info about the latest happenings with Vampire and I also have an upcoming gameplay of ‘The Dream of Rowan‘ of Amiten software. He also got many Extra Time shows where he give his shows the extra charm. Johnny is for sure a great Amiga’n and with so many Subscribers of other Amiga channels around he have decided to not start again until he gets 1000 subscribers. Right now it is 725. It can be hard to have just 20 viewers or less at times. So, its understandable since Johnny have managed to make more than 210 Episodes of Amiten TV! We at Amitopia and Distrita loves what Johnny does for the Amiga community. He brings people together. By streaming so often as he does. Amiten TV creates a unique community feeling together with MS Mad Lemon, The Guru Meditation and Modern Vintage Gamer. He uses many hours of his time on this. 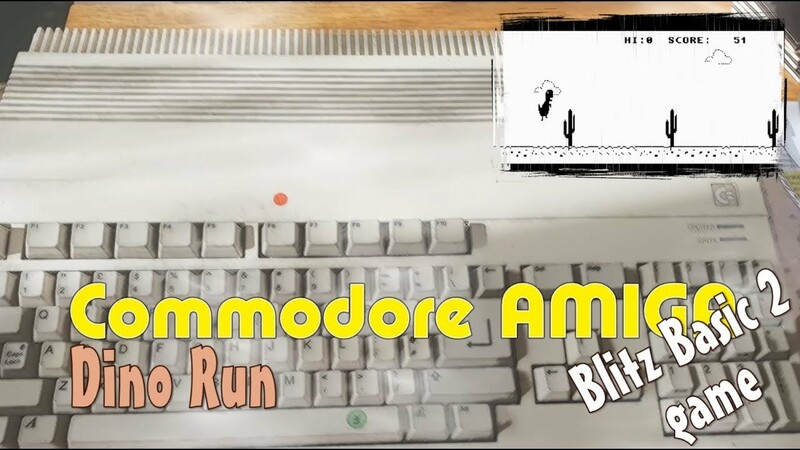 So, if you are into Amiga and Retro. Subscribe to his channel. We try to keep it alive. Amiten TV must be alive. 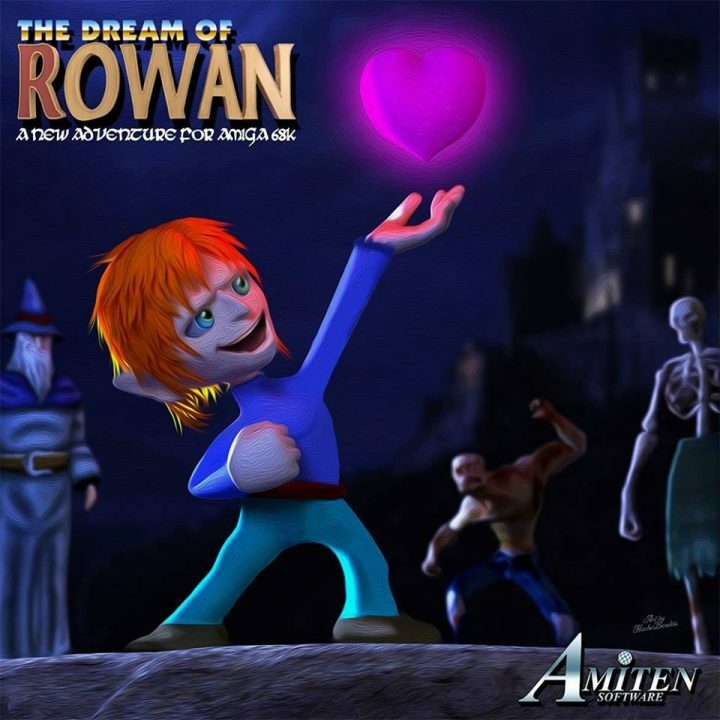 The amazing Dream Of Rowan maker team must be supported. We do and we also hope you do. Keep Amiten TV alive NOW!